Lions Harry Beckett and Don Baker placing sand bags along the perimeter of the beach volleyball courts and then covering them in an effort to prevent the sand from eroding. One of Albert Einstein’s most famous quotes is: “Insanity is doing the same thing over and over again and expecting different results.” The Westport Lions have literally put tons of sand on the beach with the expectation it would remain there. Last week we put four truckloads of sand on the beach, spent hours levelling it, and then to our despair witnessed a good portion of it, wash into the lake after last Friday’s torrential downpour. Perhaps we should have remembered how Sand Lake got its name! The Lions Club is diligently trying to maintain the beach and lakefront property with two initiatives. Currently water from spring runoff and heavy rains flows directly down the mountain to the Lions’ property causing costly and extensive damage both to the clubhouse and property. The county has been asked repeatedly to rectify this problem. Lion Don Baker should be commended for his dogged pursuit to get the county to act. Secondly, this past Sunday, Lions Don Baker, Bob Reddick, and Harry Beckett created a barrier of sand bags to act as a dam to hold the sand from eroding from the volleyball courts. Fortunately we were able to scoop some of the sand from the lake. 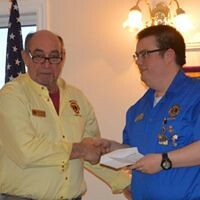 Congratulations to Lion Dorothy Maynard for receiving volunteer of the month for May from the village of Westport. Not only does Dorothy volunteer to drive the mobility van but also she is very active in other endeavours of the club. 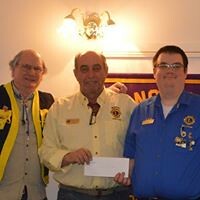 Dorothy has been a great addition to the Westport Lions Club. 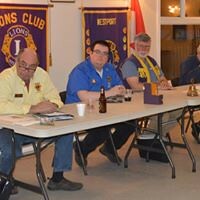 The last couple of weeks have been very busy for Lion members. 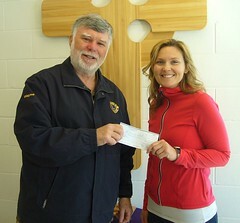 From selling tickets for our $1500 spring draw being drawn on July 1st to preparing the beach for the summer season. Don Baker and his crew of helpers have put in countless hours fixing up and sprucing up the bathrooms, raking the entire beach of debris, spreading four truckloads of sand, mowing the grass at least weekly and sandbagging the beach. The month of June offers no rest. On June 14th our club will host our annual fundraiser steak BBQ for Lions from the surrounding clubs. On June 16th, we will host Kingston’s RYATT Volleyball second annual Westport Waltz Beach Tournament. It will begin at 9:00 a.m. and the cost per team is $120.00. Winners will be provided with RYATT gear and prizes from their sponsors. The tournament format will be INT-COMP Coed Beach 4’s (2 males and 2 females). The registration deadline is June 8th at 5:00 p.m. For more information go to their website, ryatt.ca or call 613-328-2244. Don’t forget the Westport Lions Club fish fry at the Lions’ Sand Lake beach house on Saturday, June 23rd starting at 4:00 p.m. for takeout only, and then dinner will be served from 5 – 7:00 p.m. Mike Mundell will provide the fish. The cost is $15.00 per person. Rounding off the month we will have our annual Awards Night on the June 27th, and will be traveling to the Gananoque Playhouse to enjoy the Buddy Holly Story on June 29th.